Apple today released the latest update to OS X, referred to as macOS 10.12 Sierra. This update brings iOS 10 emoji updates to the Mac, but also uses its own non-Unicode names for each emoji. 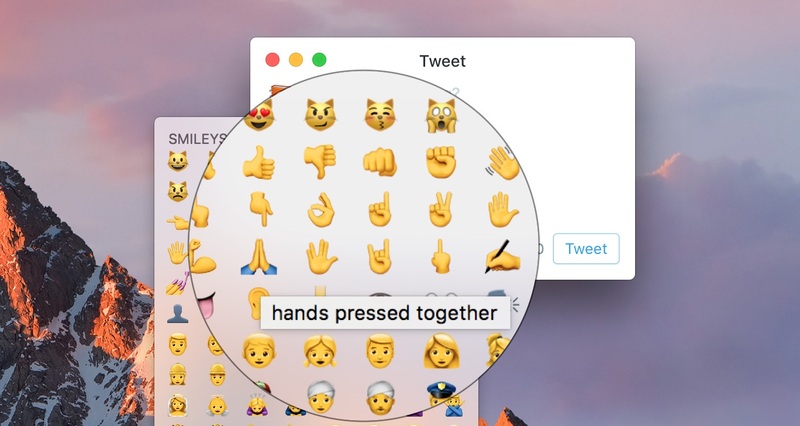 For example, 🙏 Person With Folded Hands is listed as hands pressed together in the emoji picker for macOS Sierra. Not every emoji gets a new name, though a considerable number do — especially among the Smileys & People section. While some of the Apple Emoji Names make the emoji meaning clearer, others seem to just tweak the name without any particular improvement. 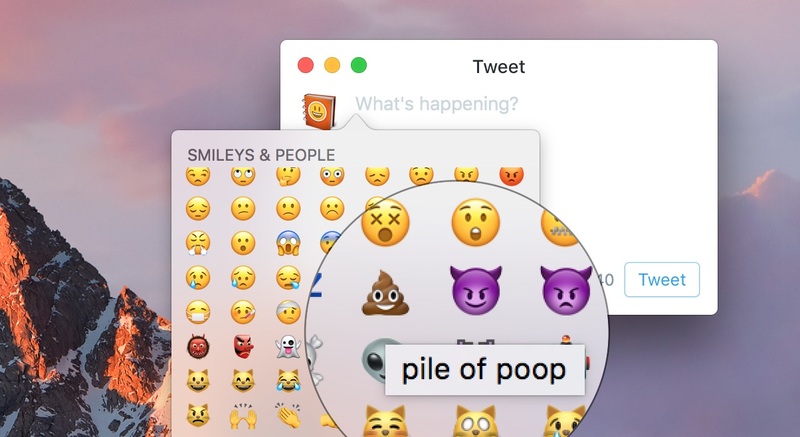 Above: 💩 Pile of Poo is renamed Pile of Poop in macOS Sierra. In many ways, this could make sense for an all-Apple ecosystem. The larger compatibility issue is whether users know if Apple's Grinning Face With Squinting Eyes is the same as 😁, 😄 or 😆 when sending cross platform. Does that seem like a concern Apple might have? Not in my eyes. How Would I Draw A Gun?